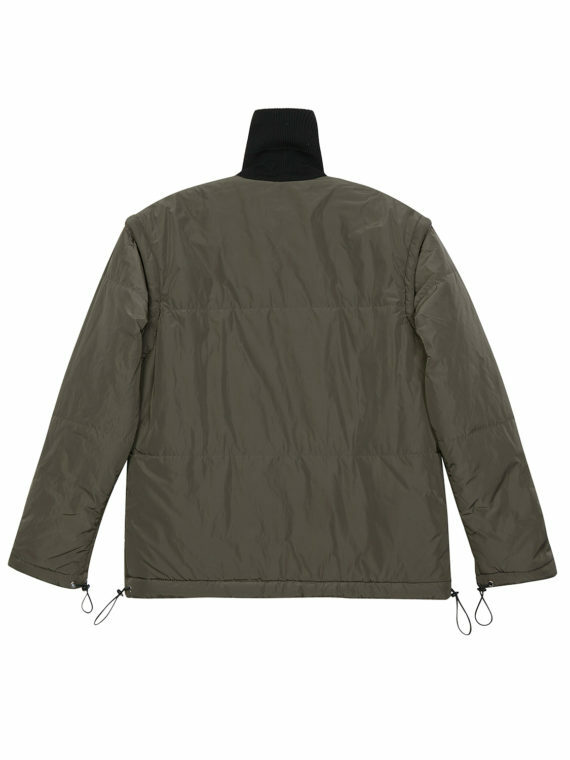 Long sleeve quilted nylon jacket in khaki. “I Love You” patch at chest. Ribbed neckline. Zip closure at front. Detachable sleeves. Pockets at waist. Elasticized cuffs. Adjustable elastic lace. Tonal stitching. Technical fabric (100% Polyester) Lining: 100% polyamide.